My family loves Normandy Farms in Foxboro, Massachusetts. Lots to do especially for the kids. 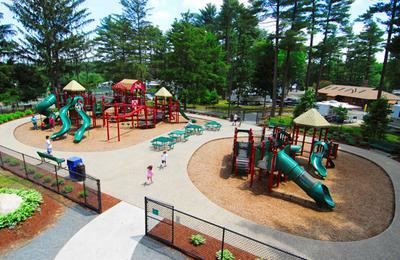 Activities every hour during the summer. 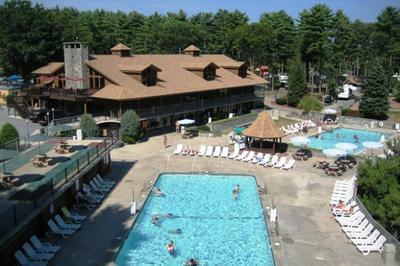 3 outdoor pools and 1 indoor pool which is open all year. Note from the editor: here is More information on Normandy Farms: Normandy Farms is located at 72 West Street, Foxboro, Massachusetts. 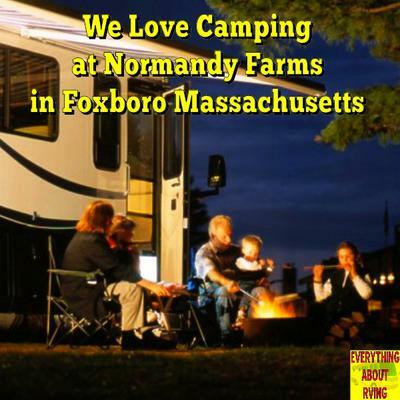 Normandy Farms is nestled deep in the woods between Boston & Cape Cod, Normandy Farms is a luxury camping destination that has been a family tradition since 1971 and widely recognized as one of the premier resorts in the world. You can relax and enjoy the unique seasons of New England in your RV, tent, or in one of their deluxe cabin or YURT rentals. The 2 videos below give some great information on what there is to see an do at Normandy Farms. For even more information on Normandy Farms and to make reservations visit the Mormandy Farms Website.